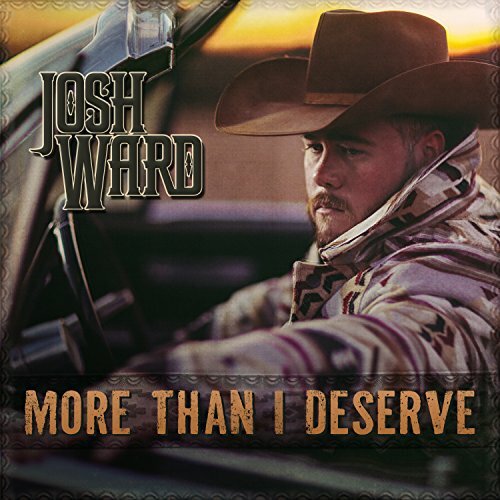 Josh Ward hits it out of the park with his fourth highly anticipated release, More Than I Deserve, where rich, traditional ballads mix with honky-tonkers and heartbreakers, blending together seamlessly for a solid effort from the Houston native. Picking it up a few notches, honky-tonk takes over on “Home Away From Home,” “Another Heartache,” and “Loving Right” with all feeling like they could’ve been recorded in the heyday of 80’s and 90’s country, missed on today’s radio. While there are the rollicking tunes, the ballads are where Ward really shines. On “The Devil Don’t Scare Me Anymore,” Ward’s voice flies high above the searing lyrics “…Ten years later wondering how I got here, where neon burns and they sell cold beer…Heaven seems so far away…” It’s the most moving song in the set and Ward’s emotional delivery brings the subject home. Other standouts are “A Cowboy Can,” “God Made A Woman,” destined to be a Texas dance floor classic, and the title track, a touching waltz surrounded by gorgeous pedal steel and heartbreaking lyrics “…I know I could change her mind….make her stay….but then again, I know it’s too late…” A heavy way to close out but listeners can feel hope in the song’s message, since we all truly have a lot to be thankful for. There is a song for everyone on this release; whether it’s a honky tonk weeper or a tender love ballad, Ward has listeners covered. Instant radio classics like “Ain’t It Baby” and deeper cuts like the title track make this perhaps his best album yet.